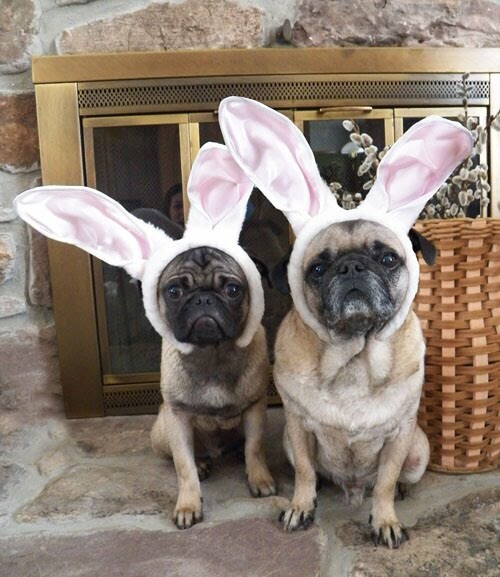 Happy Easter from the Easter Pugs. These guys have been up all night delivering Easter baskets. Too freakin' adorable! Love their expressions! 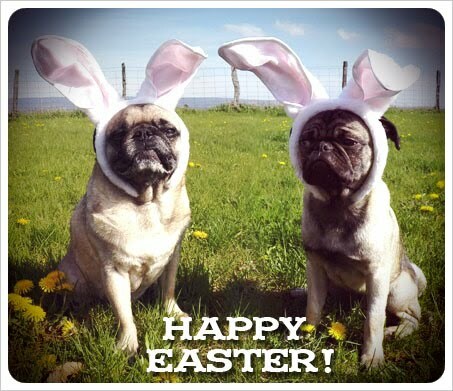 They do look pooped !